Al Wywialowski of Batavia started as a spectator at Special Olympics Illinois. He watched his son, Alan, participate in athletics, bowling and basketball through School District U-46. 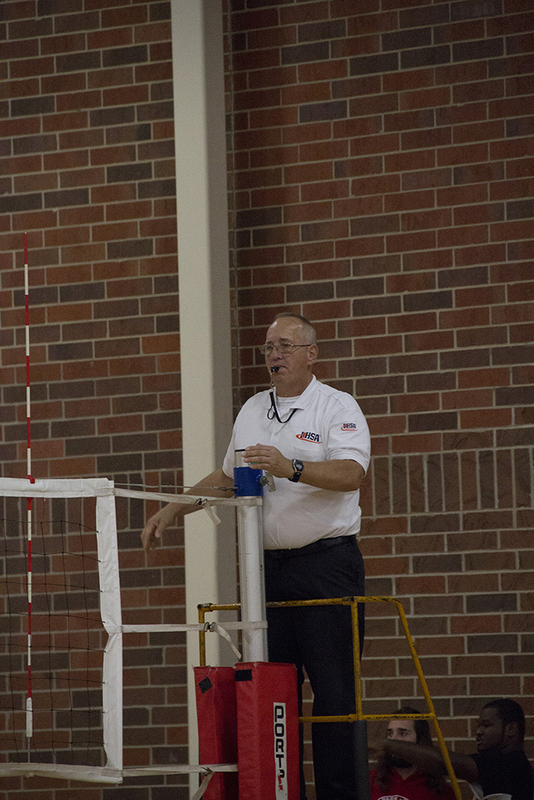 This led Wywialowski to start officiating volleyball games at Special Olympics Illinois. 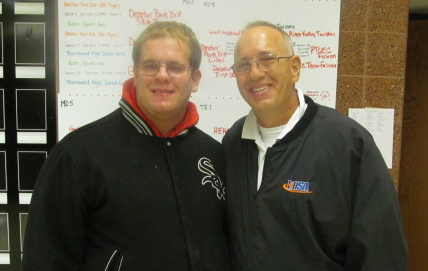 Recently, he volunteered at Fall Games in Rockford on Oct. 24 and 25. Wywialowski is a certified Illinois High School Association official. He umpires at IHSA baseball games as well as officiating at IHSA volleyball games. What started as a way to earn some extra money turned into a way to give back. “I started doing Special Olympics volleyball because I wanted to give back to Special Olympics what Special Olympics was giving Alan– a chance to compete with other kids with special needs,” said Wywialowski. 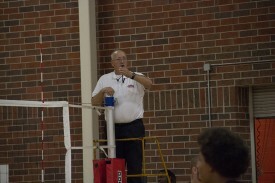 During Fall Games, Wywialowski got the chance to work with other IHSA officials and the chance to spend time with his 19-year-old son, Alan, who volunteered as a volleyball scorekeeper. Billy, is 17 and volunteers at Special Camp, a week-long camp for kids and adults with disabilities held at White Pines Dude Ranch in Oregon, Ill. Bradley is 15 and attends PACTT Learning Center in Chicago. Wywialowski is a spectator turned volunteer. Whether he is officiating for IHSA or Special Olympics, Wywialowski enjoys his job and the time he gets to spend with Alan.